Running may be a relatively inexpensive sport, but investing in the right gear can help you fall in love even more with your new hobby & not to mention ensure that you stay injury-free. 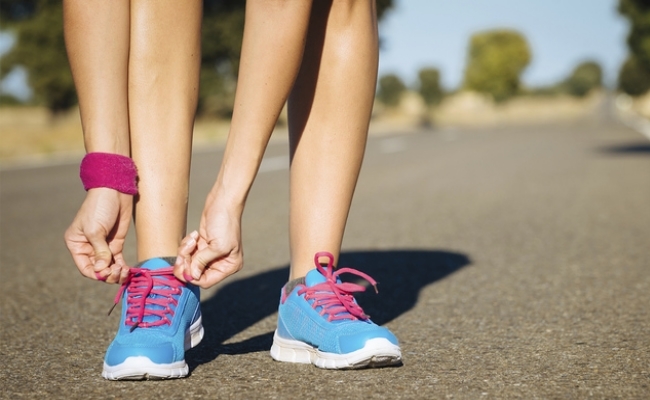 One of the most important pieces of gear you need to be a runner? The right pair of running shoes. Here’s how to pick the pair that’s suitable for you. First step, on how to choose running shoes, stop shopping by appearance first. While you may be a fan of a certain shoe’s color combination or style, those features are less important than how the shoes fit on your feet. If you’ve never tried out running styles before, find a specialty running shoe store with a knowledgeable staff who can give you personalized attention. They’ll be able to recommend brands that work with your foot, especially if you have flat, narrow, or wide feet or have other other running-related issues. If there’s an ASICS store near you, walk in for a 30-minute Foot ID service, which will evaluate your foot shape, pronation, and gait to find the right type of shoe for you. Know your running style. Besides fit, an expert will be able to evaluate your running style in order to find the right pair for you. Knowing if you overpronate, which is when your feet turn in while you run or underpronate, which is when your feet turn out, will help steer you to the ideal shoe. The type of pronation you have can mean you need more cushioning or stability in order to reduce the burdens on your foot. If you already know your gait characteristics, try the online ASICS Running Shoe Finder, which can generate recommendations by just asking you a few question about you and your running style. When trying on a pair of shoes, pay attention to how you feel in them. They shouldn’t be too roomy or too snug, with adequate room in the toe box (about 1 centimeter between your toes and the top of the shoe is perfect). Shoes should also hold your ankle well. Anything too loose or too tight can lead to blisters and foot pain, so take a walk around in a pair you’re testing to make sure your foot feels right when you’re moving. Then, take them for a test drive. Your foot expands when you run, so you’ll need to ensure that you’re trying on the right size. Some experts recommend going a half size up from your normal shoe size when buying running shoes, but it can vary between brands. What matters most is testing models and brands so you find what works for you. Many specialty stores let you test your pair on a treadmill or will even let you take them out for a test run; if you’re buying shoes online, read the return policy carefully to ensure you’ll be able to return them if it’s not a good fit. Focus on how you feel in your first run & many experts say that running shoes shouldn’t have to be broken in, but rather should feel great on your first run. Most importantly on how to pick running shoes, is to take your sneaker shopping seriously. While running shoes can be an expensive investment, the right shoe will take you miles and ensure you stay comfortable, healthy, and happy with your running hobby.